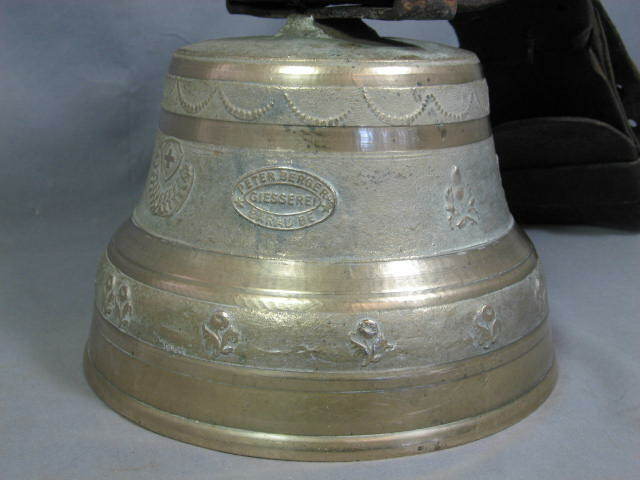 This listing is for a lovely Swiss brass cow bell. 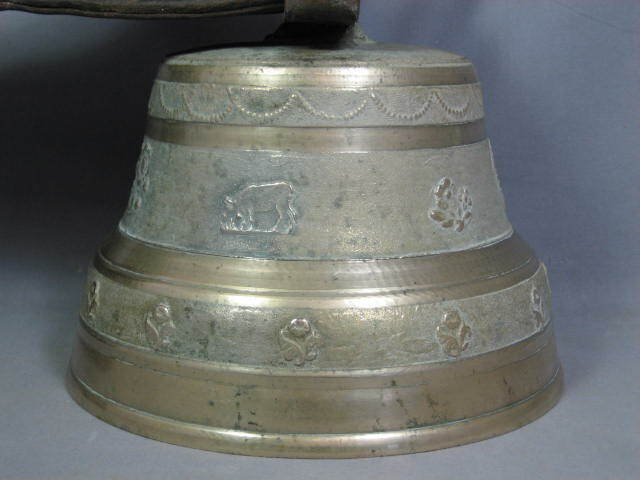 It has a large leather collar and is decorated with flowers, cows, and the Swiss cross. 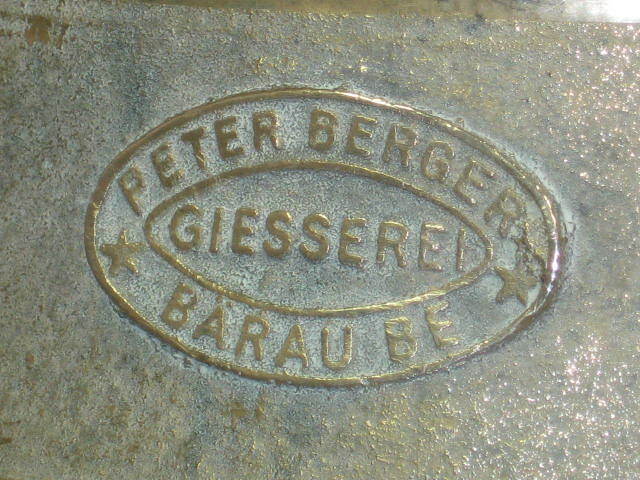 The foundry mark reads "Peter Berger Barau Be Giesserei." 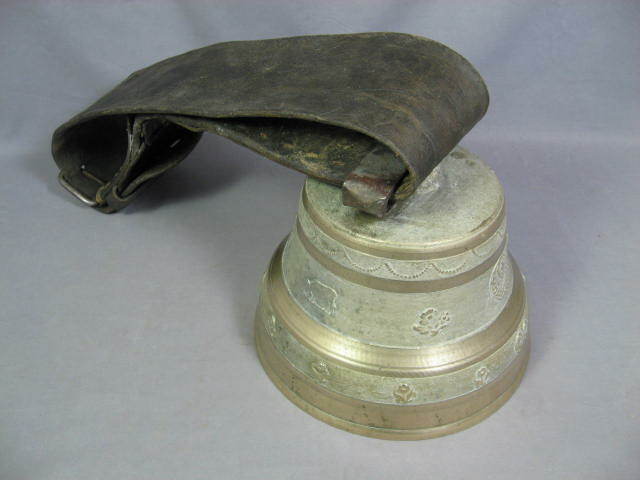 The bell is approximately 7.25" inches high by 9.25" inches in diameter and weighs about 11 pounds. 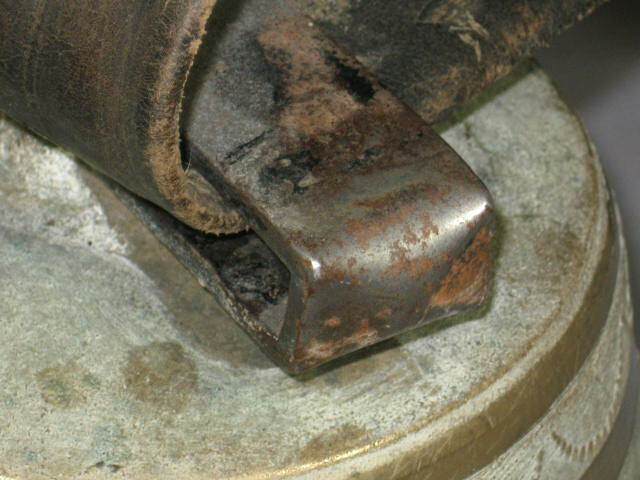 It's in very good overall condition with minor scuffs, some corrosion on the top piece, and moderate wear in the leather collar. 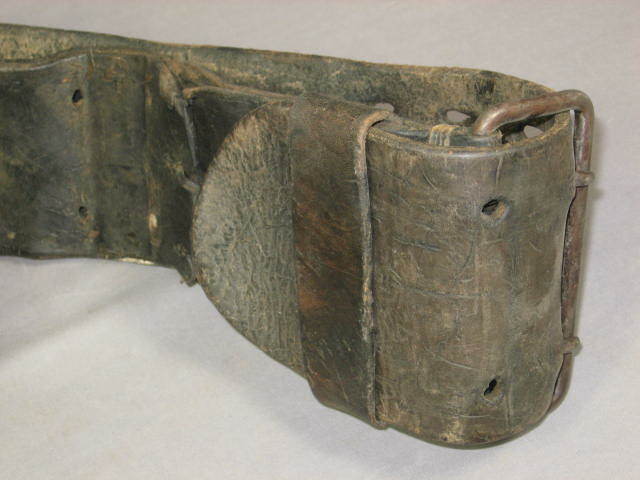 The leather collar is 4" inches wide and has a few holes for a setting the circumference of the loop. This listing has no reserve price so don't miss your chance to win! 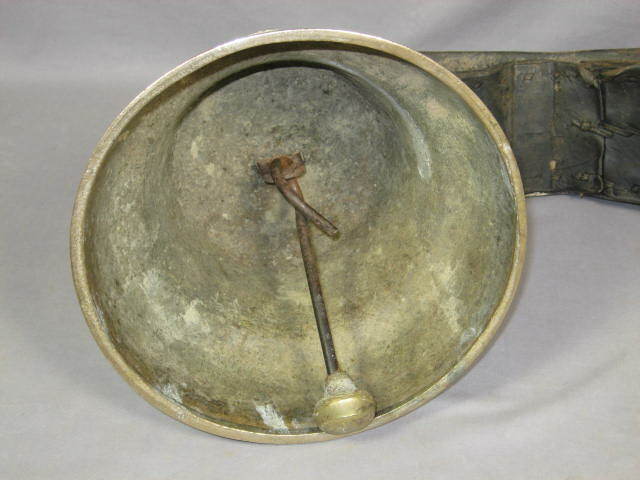 Don't forget to check out our other listings for more vintage cow bells!